Just a couple of whimsical gold touches I'm liking lately. 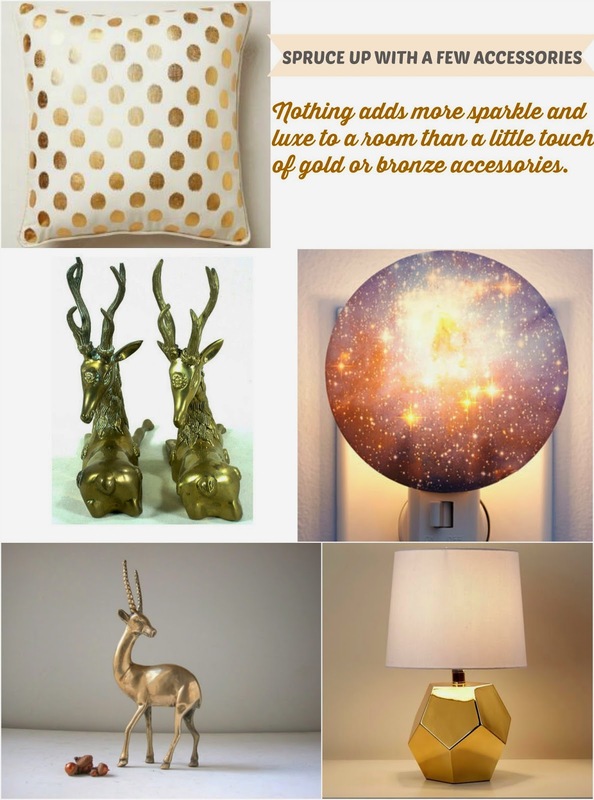 I've been scouring the internet for a better looking gold/bronze stately gazelle accessory for my entryway table. How elegant is this small little guy?! I just love the stance of a gazelle. And the geometric shape of this lamp will take any table from ordinary to extraordinary. 1. This luminous dots pillow kind of reminds me of the pillows in Olivia Palermo's apartment, except hers are covered with mirrors and cost $350 each (similar and much more reasonable)// 2. Gazelles found on google// 3. I can't stop gazing at this incredible galaxy night light // 4. Vintage brass gazelle// 5. Gold geometric lamp base.